Manolaya is a temporary stillness of thought. Manolaya means concentration, temporarily arresting the movement of thoughts; as soon as this concentration ceases, thoughts, old and new, rush in as usual and even though this temporary lulling of mind should last a thousand years it will never lead to total destruction of thought, which is what is called salvation or liberation from birth and death. The practiser must therefor be ever on the alert and enquire within as to who has this experience, who realises its pleasantness. Failing this enquiry he will go into a long trance or deep sleep - Yoga Nidra. 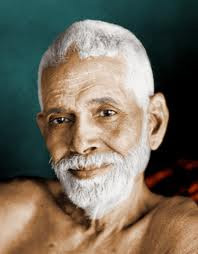 Due to the absence of a proper guide at this stage of spiritual practice many have been deluded and fallen a prey to a false sense of salvation and only a few have, either by the merit of good acts in their previous births, or by extreme grace, been enabled to reach the goal safely. Sadhakas rarely understand the difference between this temporary stilling of the mind (manolaya) and permanent destruction of thoughts (manonasa). In manolaya there is a temporary subsidence of thought waves, and, thought this temporary period may even last for a thousand years, thoughts, which are thus temporarily stilled, rise up as soon as the manolaya ceases. One must, therefore, watch one's spiritual progress carefully. One must not allow oneself to be overtaken by such spells of stillness of thought: the moment one experiences this, one must revive conciousness and enquire within as to who it is who experiences this stillness. While not allowing any thoughts to intrude, he must not, at the same time, be overtaken by this deep sleep (Yoga Nidra) or Self-hypnotism. Though this is a sign of progress towards the goal, yet it is also the point of divergence between the road to salvation and Yoga Nidra takes place. The easy way, the direct way, the shortest cut to salvation is the Enquiry method. By such enquiry, you will drive the thought force deeper till it reaches its source and merges therein. It is then that you will have the response from within and find that you arrest there, destroying all thoughts, once and for all. This temporary stilling of thought comes automatically in the usual course of one's practice and it is a clear sign of one's progress but the danger of it lies in mistaking it for the final goal of spiritual practice and being thus deceived. It is exactly here that a spiritual guide is necessary and the saves a lot of the spiritual aspiratnt's time and energy which would otherwise be fruitelessly wasted. Knowledge of Self is True Knowledge and incomparable to any knowledge gained by study, and that Self Knowledge or Self - realization is not to be obtained by any amount of study but by practice only. One must attempt to get at the very bottom from which thought springs and root out thought, mind and desire. D: What is the effect of japas and mantras? B: Diversion; the mind is a channel, a swift current of thoughts and a mantra is a bund or dam put up in the way of this current to divert the water to where it is needed. D: How can I obtain Grace? M: Grace is the Self. That also is not to be acquired; you only need to know that it exists. The sun is brightness only. It does not see darkness. Yet you speak of darkness fleeing on the sun’s approach. So also the devotee’s ignorance, like the phantom of darkness, vanishes at the look of the Guru. You are surrounded by sunlight; yet if you want to see the sun, you must turn in its direction and look at it. So also Grace is found by the proper approach you make, though it is here and now. D: Cannot Grace hasten ripeness in the seeker? M: Leave it all to the Master. Surrender to Him without reserve. One of two things must be done: either surrender yourself, because you realise your inability and need a higher power to help you; or investigate into the cause of misery, go into the Source and so merge in the Self. Either way, you will be free from misery. God or Guru never forsakes the devotee who has surrendered himself.